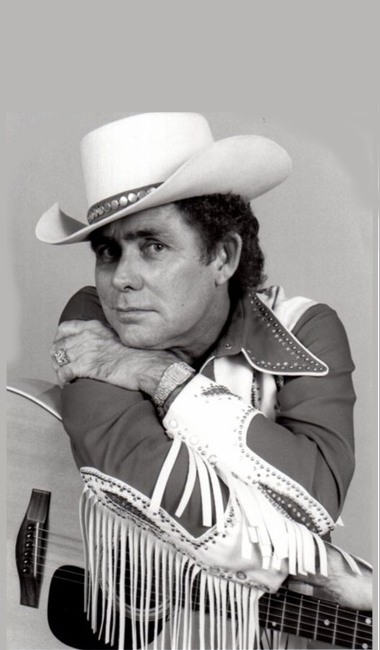 Writer of one of the GREATEST hits ever "Louisiana Woman, Mississippi Man"
Dottie West called him a "legend", and Charlie Daniels simply called him a "superstar. 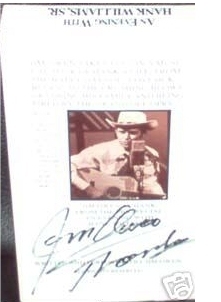 In the SECA Award Winning PBS Special " An Evening With Hank Williams." Last year I visited Branson, Mo., and would have liked to have taken in some of the country music shows. There were lots of names up there in lights, many having migrated from Nashville to a new mecca in the world of country music. But time was of the essence, and I had to move on. 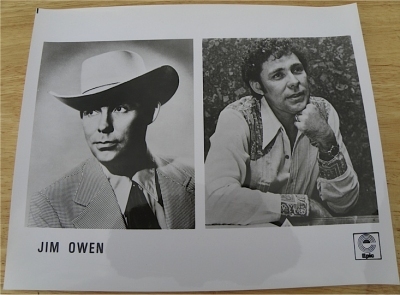 But one show I WOULD have surely enjoyed was that by Jim Owen, the singer I had become acquainted with in fashion way back in 1980 when he appeared on a tribute show to Hank Williams. "What is country music all about?" 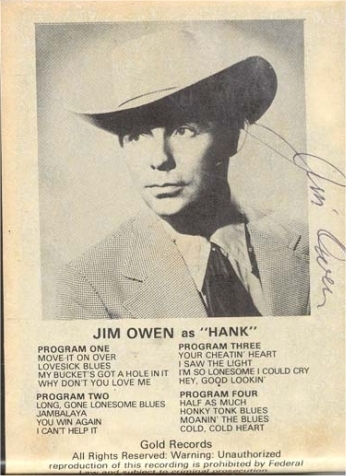 At that point in time, we knew pretty well knew what to expect when a guest appeared, introduced by no less than Hank Williams Jr., who would himself sing a song or introduce a guest who had been affiliated with Hank Williams Sr. Then a flashback would revert to a former time (the location scenes) in the life of Hank Sr., played by Jim Owen. 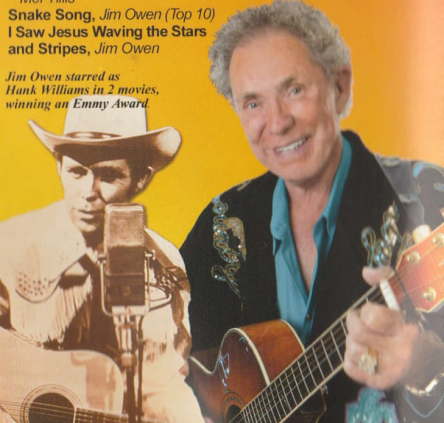 And Hank was pictured as a child at the feet of the old black street singer, Tee-Tot, down in Georgiana, Ala.
"It was from Tee-Tot that the young Hank Williams obtained his 'only' musical lessons..."
So, what is country music all about? 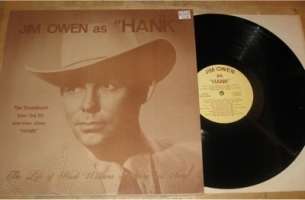 It is then summed up in the brilliant songs of Hank Williams, living on until this very day, many years down the road, as singers like Jim Owen recreate the Hank Williams magic with a song. "Deferring all, country music deals principally with 'music,' played by a guitarist. And therein lies the beauty of a song: a singer singing and simply playing his guitar. There is no orchestration! Thus, the simplicity of the moment holds you spellbound, as you listen, and you listen well to a presentation where you can understand the words the singer is presenting for your musical enjoyment. ...good music, and good Hank Williams songs which live on and on and on...like those truly great Stephen Foster songs of long ago. We are told that Stephen Foster's songs are now: "folk music." And that is because, after so many years out there before the public, the song becomes "public" property, as will the music of Hank Williams not many years down the road. 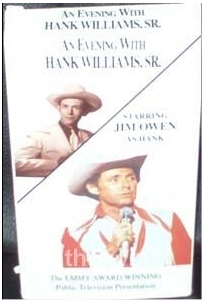 Nevertheless, in the meantime, as long as the public relishes hearing a song or two (and many more than that) written by the legendary, all-time GREAT, Hank Williams, then Jim Owen will be out there on that stage performing Hank's songs with great distinction...whether it be at Branson, Mo,, Nashville, Tenn., or out on the road. Hank: Your songs live on in our heart.